A stunning Arts and Crafts brooch or pin, the silver frame beautifully detailed with flower heads (Roses) and leaves, and central facetted rock crystal. Indistinctly stamped STERLING to the reverse I can find no makers mark. 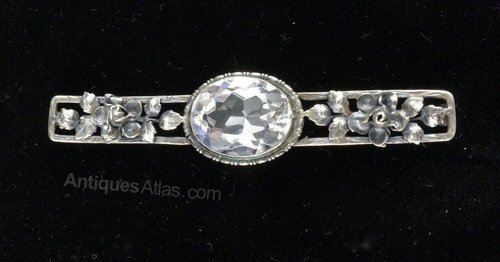 It is in good condition, commensurate with age, it measures 67mm by 9mm, with the rock crystal 13mm by 17mm, and weighs 7gms. 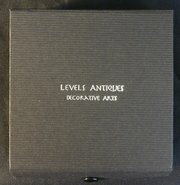 The asking price includes insured special delivery postage in UK and a custom Levels Antiques box. Overseas postage is likely an extra GBP15 to USA, including the shipping insurance. Please contact us for accurate overseas postage rates.